It's time for another online Hegel Party! 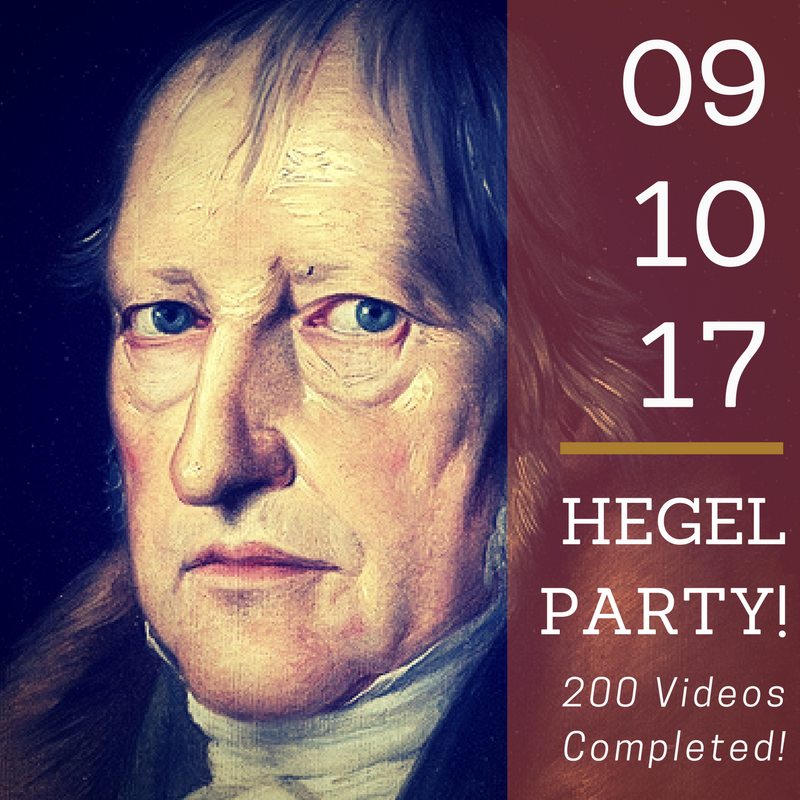 This time the occasion is our passing another number milestone - we have produced and released 200 videos in the Half Hour Hegel series! Everyone is welcome - whether you are an avid reader of Hegel, or just curious about his work and thought! I imagine the discussion will be fairly open-ended, with some people asking questions about Hegel or the project, others wanting to discuss some key ideas or applications of his philosophy, and some just wanting to listen in. In my view, this really is something to celebrate! I've devoted more than 3 1/2 years now to producing this lecture series - a video commentary, line by line, paragraph by paragraph - designed to help people worldwide make sense of one of the more difficult texts in philosophy - Hegel's Phenomenology of Spirit. 200 videos means 100 hours of actual video - and who knows how many hours invested in study, planning, shooting, and editing the videos! We've made it though about 2/3 of the text - the Preface, Introduction, and the Consciousness, Self-Consciousness, and Reason sections. We're a good ways into the Spirit section as well. I have to add that I'm immensely grateful for the financial support that people have shown me and the project - a few through paypal donations, and most through my Patreon page. This entire project is crowdfunded by individuals who view it as providing a valuable public good. And without their support, I likely wouldn't be able to afford to divert the time, energy, and thought required to see it though (since I earn my living as a philosopher in private practice, rather than as a traditional academic). So join us to celebrate passing another important milestone in this long laborious path towards completing this innovative digital humanities project - I hope to see you there, toast the 200 video mark, and enjoy some conversation with you over the space of an hour!